This is an excellent moisturiser for combination or oily skins. I've found that within a couple of days of use it has tightened my pores while hydrating my skin. It's especially good for summer as it's light and also works very well under make-up. Highly recommended. Truly brilliant product. 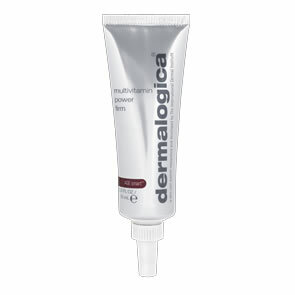 I have part oily skin and has taken me years to find the right product and not only is dermalogica unique and great this moisturiser has just the right balance. Great on its own or under make up and great value for money. I have used the same moisturiser for years, but (to my horror) it has recently been discontinued, forcing me to seek a replacement. As a fan of other Dermalogica products, I decided to give this a try and have not been disappointed. It is easily absorbed, light and visably tightens pores. Most remarkably though it acts as a fantastic base for my makeup. 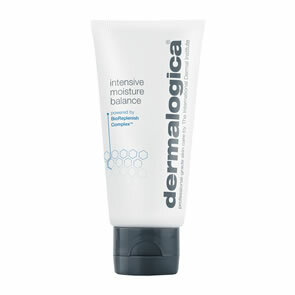 Many thanks to Pure Beauty for their usual speedy shipping, and Dermalogica; Please don\'t discontinue! This a great moisturiser. It is light and not oily but leaves your skin really hydrated. I use it mostly at night or during the day if I am not going out because it has no SPF in it. However, whilst on holiday I used it every day and mixed in a bit of the solar defense booster SPF30 for protection, which worked really well so you could do this if you wanted to protect your skin during the day whilst using a non oily moisturiser. I can\'t rate this moisturiser highly enough. It\'s easily absorbed into the skin, leaving it smooth and refreshed looking. After one week\'s usage I have noticed a marked difference in my skin both in terms of visible oil production, appearance and texture (even under make up). I simply could not live without this product. I have oily/combination skin and find this to be the perfect moisturiser for me. Recently I tried a different brands moisturiser (to try and save money) I quickly realised that you get what you pay for as the alternative bought me out in spots and made my skin really greasy straight away, so I went back to Active Moist and really believe it\'s worth the investment. Besides the 100ml tube lasts me around 6mths so is well worth it for good skin. Brilliant product! Have tried every moisturiser on the market including Creme de la Mer - this is the only moisturiser I\'ve found that caters for dry skin with adult break-outs. Have since ordered a mass of Dermalogica products and my skin has been totally transformed in a month. I have combination skin - from dry to very oily and prone to acne breakouts (i.e. constant acne). This moisturiser caters for each area of my face. Light application for oily areas help maintain moisture and reduce oil. Keeps my dry skin healthy - especially after breakouts. A great all round moisturiser that won\'t block your pores. Although there are no claims that this moisturiser helps smooth skin I could swear my skin is smoother after using this. I have been using Dermalogica Active Moist for over a year now and my acne prone skin has cleared up immensely. My skin feels soft and fresh and pimple free which is great. If I feel like I need a bit of moisture in the winter months I use the Skin Smoothing Cream. Excellent product! I have used lots of other well know brand names but they were ineffective. Active moist is oil free and suits my skin type so I will continue to purchase it in the future.